Happy July 4th to all of our American readers! Whether you are celebrating today or not, it's Friday and that means it's the weekend and it's time to share Royal Caribbean photos our readers sent in! You can send in your favorite Royal Caribbean photos with this form, and we will include it in an upcoming post! 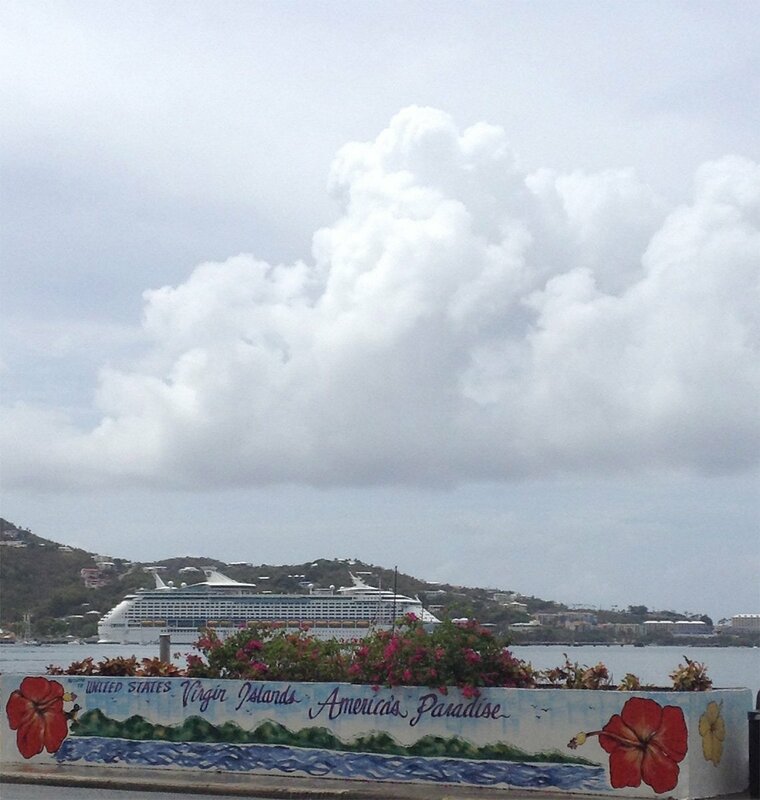 We begin this week's photo batch, with this shot of Coco Cay from Angela Middleton. 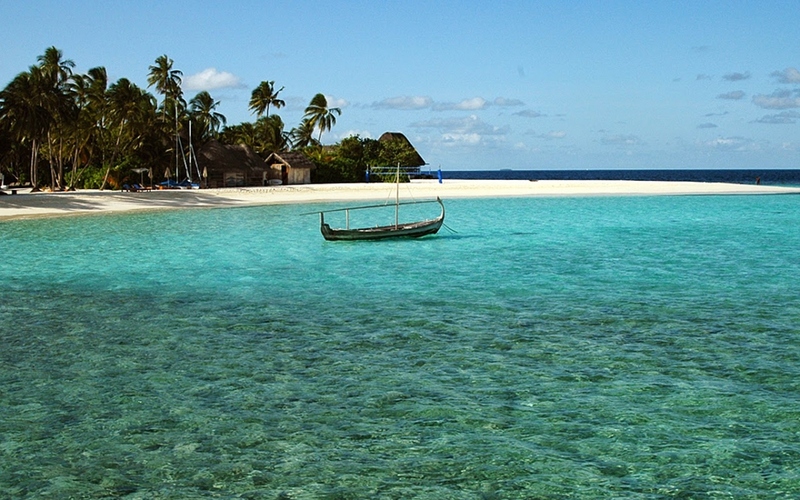 Wish I was spending my holiday weekend here! 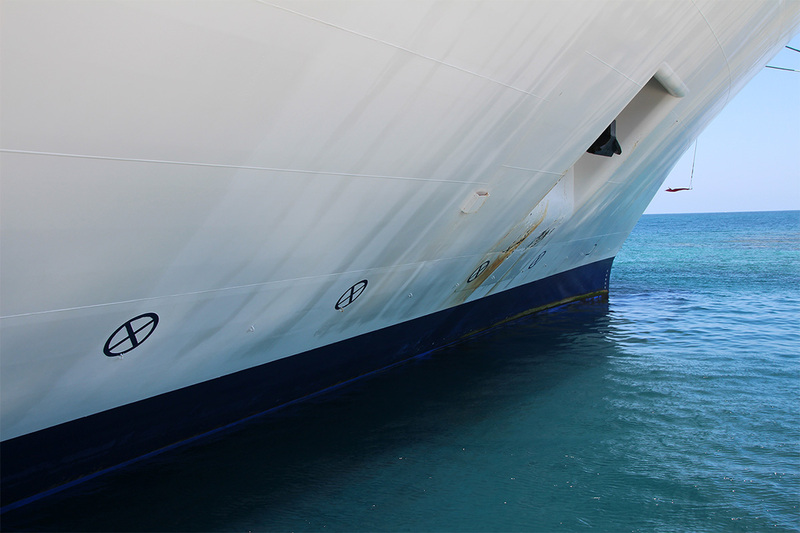 Here is a creative shot of Empress of the Seas, as seen by Bob Carpenter while in Georgetown, Grand Cayman. Great perspective! Speaking of Grand Cayman, here is a photo of the island paradise by Blake Baldwin, taken from Independence of the Seas. Sign me up for a visit here! Adrian Chan sent us this photo of Independence of the Seas docked in Labadee. Look at the contrast between the ship and the water. Great colors! If you thought to yourself, "I would love to see more photos of Independence of the Seas," well, your wish has been granted! 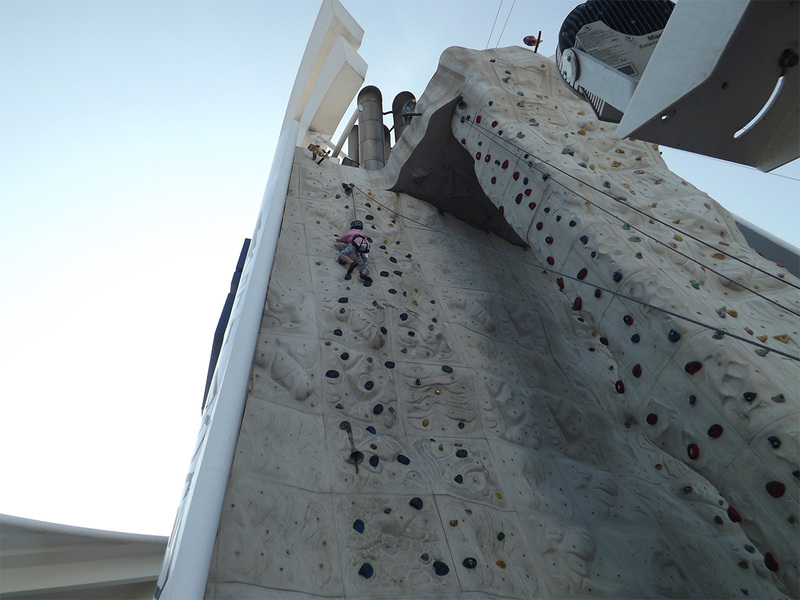 Here is a photo by Suzanne of her 10-year-old daughter, Rebecca, climbing the rock climbing wall. It is probably safe to say she is better at the wall than I am. Next, is a photo of Enchantment of the Seas by Christopher Simone. This photo was taken on Coco Cay, when Christopher and his family took a walk to a point toward the far east end of Barefoot Beach. 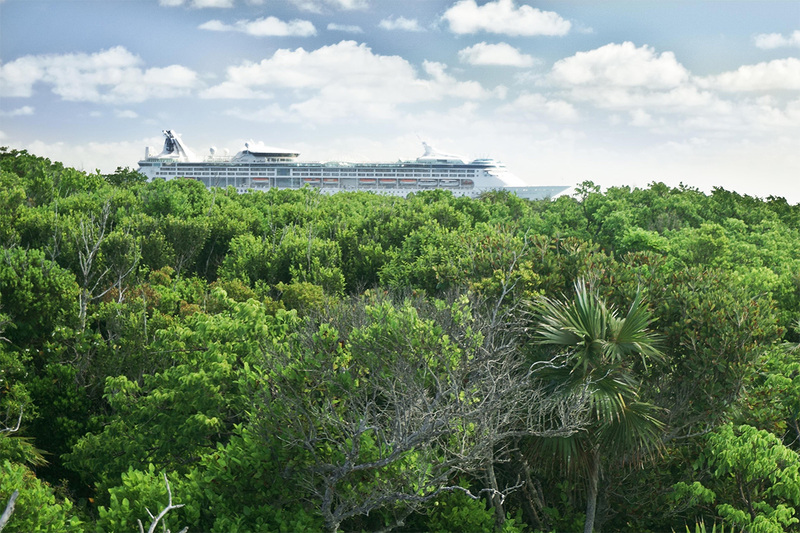 They found a pile of sand nearly 20 feet high, which got them a great view of the ocean and Enchantment of the Seas apparently plowing through the lush foliage of the inner island toward the north. Mary sent us this photo of Adventure of the Seas, while they were visiting St. Thomas. Looks like another day in paradise! Thank you to everyone that sent in their photos. Would you like your Royal Caribbean photo to be showcased? Submit your photo via this form and we will use it in a future post!